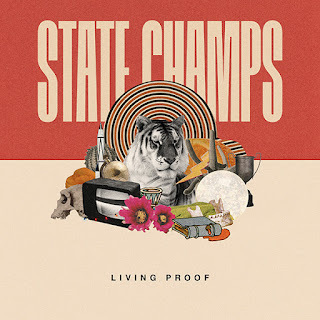 Pop punk's new golden boys, State Champs, released a new song and video from their upcoming record, "Living Proof", out June 15, 2018 on Pure Noise Records. Pre-order is currently available for the upcoming album via the label's site. "Our Time To Go" was directed by Chris Fleck Hernandez, and received its world premiere this weekend at the State Champs' pop-up shop in NYC. The band is currently on a whirlwind tour before their newest album comes out, with another pop-up in LA scheduled for release day and several in-stores.